This movie’s got Rooney Mara, Channing Tatum, Catherine Zeta-Jones, and Jude Law. Give me a reason why you would not want to see this. Martin Taylor (Channing Tatum) has just been released from prison after serving a four-year sentence for Insider-trading, and happily reunites with his wife Emily (Rooney Mara). 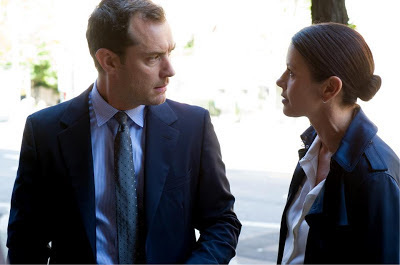 All seems well until they discover that Emily has apparently developed depression issues, and they seek the help of Psychiatrist Dr. Jonathan Banks (Jude Law) as Emily has already seemed to be developing suicidal tendencies. Upon the suggestion of Emily’s previous psychiatrist, Dr. Victoria Siebert (Catherine Zeta-Jones), Dr. Banks reluctantly prescribes to Emily an experimental drug called Ablixa, which seemingly had sleepwalking side-effects. The side-effects seemed to cause some trouble with Emily’s family, until Dr. Banks discovers that there’s more to his patient than what he knows about her. When I first saw Side Effects’ trailer, it didn’t look fancy to me and I didn’t think that it is one of those movies that I would take note of to watch. However, in spite of being minimal, the trailer was very intriguing. It made me wonder what the movie is about – is it about love? Murder? Disease? The ambiguity of the sneak peek easily triggers curiosity which is why I still ended up watching it even if it wasn’t in my “Movies-to-Watch” list. Plus there’s Ronney Mara and Channing Tatum so, yeah…you get what I mean. Side Effects had a very different style and cinematography from the usual mainstream movies I know. In fact, the film had an indie feel to it. There were a lot of extreme close-ups of the characters, and the movie relied a bit more on the sound-effects of the environment in the scenes rather than on its soundtrack. All the while that I watched the movie, the experience felt like watching an indie-film instead of a mainstream one. The plot itself was also one of a kind and well thought of, that you can actually see it develop together with the characters as the movie progresses. The movie starts out establishing the characters and the situation, but then it ends with a completely different take of these elements. The best part about this is you can actually see the change take place! The movie did not have a sudden turn of events but instead, it had a gradual, careful development of the plot which made the story engaging from start to end. It doesn’t give you the twist all of a sudden like “BAM!” just like that, but the movie shows it to you slowly but surely, until you discover it for yourself. 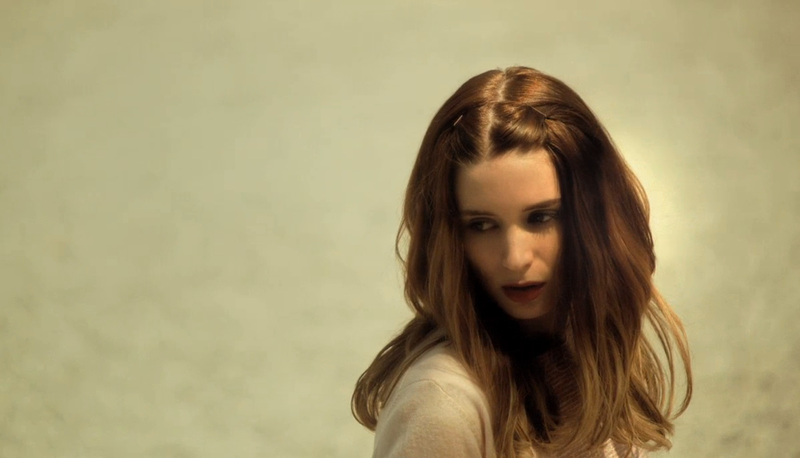 Rooney Mara was brilliant as usual and she is, without doubt, the star of the movie. I can’t take my attention off her because she works on her character so well by making Emily seem like a puzzle that has to be deciphered. As I was watching the movie I kept on thinking, “What’s the deal with this girl? !” and given the movie’s premise, I had the constant fear that she would just snap up anytime. I actually felt stressed out just watching her in this movie – which is a good thing in this case. I liked Side Effects because it focused on plot and character development in manufacturing the entertainment. In spite of the movie’s seemingly “quiet” façade, there’s a lot of crazy stuff going on in here. The twist was unpredictable and the characters themselves were a work of genius. Oh, and if it helps to excite you a little bit more about this movie, there’s some girl-to-girl action involved in here *wink wink*. If you’re anywhere in the Philippines, check out their SM Cinma’s website here to conveniently purchase and reserve your tickets to the blockbuster movies you’ve been watching out for. Credit to all the images used in this post go to their respective owners,. These images were taken from the Side Effects Facebook Page. I do not own these images. No copyright infringement intended. Very nice review.I like your post.